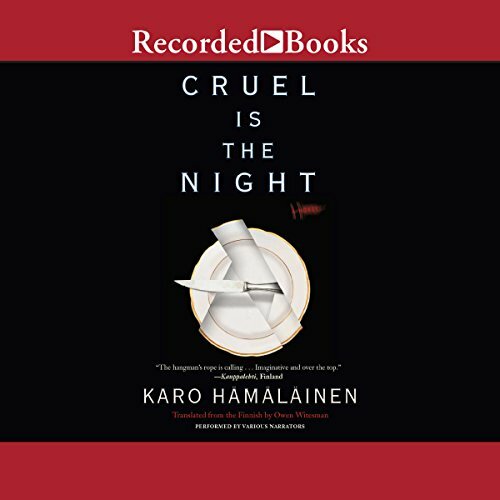 Showing results by author "Karo Hamalainen"
Three cell phones ring in an opulent London suite. The calls go unanswered, because their recipients are dead. Earlier that night, four old friends and lovers meet for a reunion dinner. Miko and Robert haven't seen each other in 10 years; Miko hates Robert for the money he's made with shady ethics. Unbeknownst to Miko, his wife, Veera, also slept with Robert the last time everyone was together. Robert's young trophy wife, Elise, has no old grudges to bear, but will be swept up in the murderous fray.